Welcome To Freedom Cooling And Heating! We carry only the finest products from our supplier Carrier . you how we can turn your home into a comfortable home. 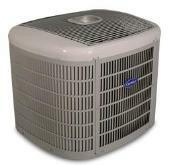 "Making The Delaware Valley Comfortable For Over 20 Years"
or air conditioner look like this?? ?